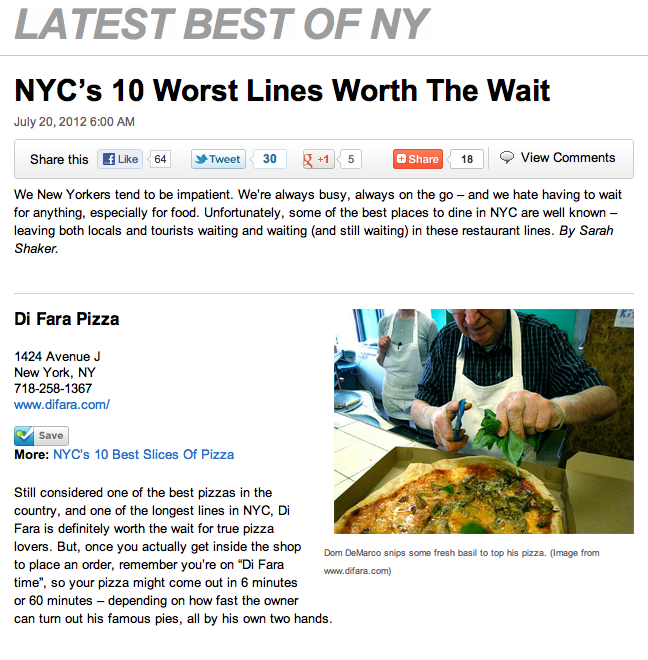 We New Yorkers tend to be impatient. We’re always busy, always on the go – and we hate having to wait for anything, especially for food. Unfortunately, some of the best places to dine in NYC are well known – leaving both locals and tourists waiting and waiting (and still waiting) in these restaurant lines.